As part of this commitment to health, safety and the environment, we have created Safe For Life a campaign that will be communicated across all our sites to get our health and safety message across to everyone. Strong leadership and total involvement from managers and supervisors is essential for our health and safety performance. The commitment, behaviour and attitude of managers and supervisors is crucial in helping us achieve our health and safety objectives. We are committed to the health and safety of our personnel. Accordingly, we have over 22 safety committee members in our business. The safety committee are responsible for detecting, preventing and solving possible operational risks involving our personnel. The safety committee detect unsafe practices, inform employees of potential risks and safety procedures, provide preventive training to all employees, inform employees of the safety and hygiene regulations, and develop basic procedures, guides and norms on safety and hygiene matters in order to reduce risks. These activities are developed and continually improved on a daily basis through inspections and implementation of our 5S Housekeeping standards. We also have a focused weekly training courses in each unit, responsible for safety specific technical and operations training for each department. This improved our safety record to an organisation experiencing no accident or incident. Our Zero Harm drive to this end has being yielding desired results. 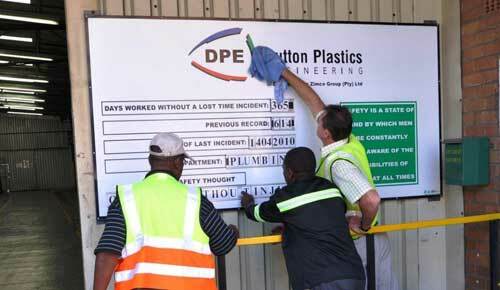 At Dutton we have safety trainings for all new operators and employees. This program explains, in general terms, the risks related to our manufacturing processes, such as electrical risks, mechanical risks, heat and cold stresses, materials handling and personal health, with the objective of improving our workers' safety. We keep a database to keep medical records for each worker. We monitor and evaluate our employees' health issues, such as metabolic disorders (obesity, hypertension and diabetes mellitus), personal hygiene, hearing problems and emotional state, among others. We conduct a complete medical exam of all new hires.